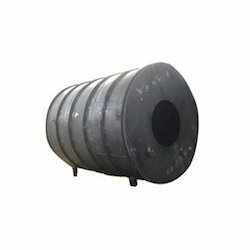 A quality centric organization, we hold expertise in providing fabrication of both the products and services of cylindrical tank, vessel for chemical industry, grills work for residential building, drain tanks for chemical industry and chemical circulation tank. We manufacture all the above mentioned products and render installation and maintenance services to our clients at cost effective rates. Our products and services are well appreciated by our respected clients, as we to cater to their various requirements. We are looking for inquiries from South India region like Dravida including Andhra Pradesh, Karnataka, Kerala and Tamil Nadu and cities like Bangalore, Chennai and Hyderabad. We are known as a prominent service provider of MS Tank Fabrication Services. Offered products are fabricated using advanced technologies and require minimum maintenance. These services are rendered by our experienced and qualified professionals at very affordable rates. 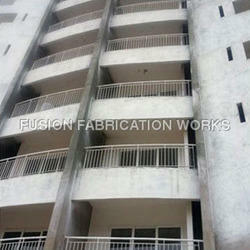 These products are widely accepted among the clients for its appropriate designing, flawless performance and durability. We are engrossed in the production and servicing of superior quality Building Grill Works Services that are broadly used in various commercial and residential applications for construction purpose. The offered product is manufactured with high grade raw material that is procured directly from the reliable vendors of the market to ensure a high quality and defect free assortment. These products are well accepted by our clients due to their effective features like sturdy construction, accurate dimension, fine finishing, longer service life, etc. Our esteemed clients can avail these valued grills at market rates.